It has been over four years since the relentlessly foreboding Decline and Fall, and Colorado state’s favourite avant rock collective, the marvellously uncompromising Thinking Plague, are back, this time dredging optimism from the depths of black despair at the perverse ways of the world, or at least that was composer and band leader Mike Johnson’s original intention. With titles like The Great Leap Backwards and Dirge for the Unwitting it is certainly hard to see where the titular hope resides, and the lyrics retain their vision of undiluted dystopia. Singer Elaine di Falco wrote the words to Echoes of Their Cries and The Great Leap Backwards, and her themes of dichotomy and dislocation fit in seamlessly with Mike’s general malaise. Tales of making merry to hide cries of despair, technology being used for nefarious purposes by known and unknown powers, and the title track’s loss of hope in a rising tide of forlorn despair, all sung in Elaine’s matter-of-fact style, mean that Mike’s originally intended optimistic outlook for the album has indeed been somewhat lost in the process of its creation, as he pointed out above, at least lyrically. That is from the title track, where the protagonist is overcome with hopelessness. This is not music for the cheery optimist, but you have probably worked that out already. They say ignorance is bliss, and it has to be said the world doesn’t bear too much thinking about at the moment. Unfortunately, once that noggin is engaged, you can’t switch it off for any length of time, even aided and abetted by the poison of your choice. Time for another single malt, methinks. The music is not easy either, but then if you are at all familiar with Thinking Plague that should come as no surprise. The chamber rock of Henry Cow lives on in these zeros and ones, and only very occasional shards of guitar remind the listener that this music is ostensibly “rock” in the accepted sense. That is not a bad thing, and as in all walks of life perseverance is rewarded. There is an awful lot going on here as the instruments carry out rarefied conversations with one another, conversations the casual listener cannot hope to understand at first sitting. The impression given during these conversation pieces is of a letting in of light, for the music is less dense than on the previous album, and as a result it breathes easier. The structure of the music is closer to classical composition than it is to rock and jazz, and Mike tells us that his “goal was to allow the separate instrumental voices to move independently, but collectively creating shifting and morphing harmonies as they move – more along the lines of chromaticism in classical music.” We therefore find that the music he has composed for Hoping Against Hope is certainly less oppressive than that on Decline and Fall, but it still retains the distinctive Thinking Plague stamp of claustrophobic intensity. The full experience of this intricate, expansive yet strangely inward looking world is revealed on the closing 14-minute mini epic A Dirge for the Unwitting, a piece that gives the listener a little more each time it is heard, and even after several listens the whole may seem elusive. Unlike some modern overlong traditional prog epics, it is not a case of a single idea being stretched way beyond the point of reasonableness, rendering it instantly forgettable, or of several ideas that do not really belong in the same piece of music being stapled together to appease the desire for a “long ’un”, but more that there is so much here to absorb in order to make sense of the whole, and a cogent whole it is, that it will take many listens for it to become apparent. Or, to use that good old reliable cliché, Mike Johnson rattles off more coherent ideas in one 14-minute composition than most bands have over the course of an album, or in some cases, an entire career. Not just that, but these ideas all belong on the same score. Mike’s ambition for Hoping Against Hope is that “I hope that the album conveys Beauty. More than anything, I want it to resonate with deep ineffable feelings.” This may be a little hard to convey with something that is outwardly so very cerebral, but if you allow yourself to get lost in this labyrinthine musical world, something should be stirred within you. 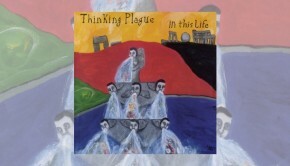 Written to be played live, which sitting this side of the Pond is a tantalising yet far-off prospect, Thinking Plague have reportedly always been a stunning live proposition throughout their 35-year history, testament to the undoubted abilities of the folk in the group, now a relatively stable unit. 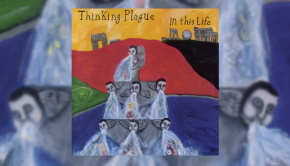 Mike started Thinking Plague with the legendary Bob Drake back in the early 1980s, and the go-to producer of choice for any left-field band worth their salt maintains his links with his old friend, having mixed and mastered this album from his base in France. As you would expect, the sound is crystal clear, allowing every subtle nuance of the many hued instrumentation to be easily pinpointed, no easy task I’m sure. 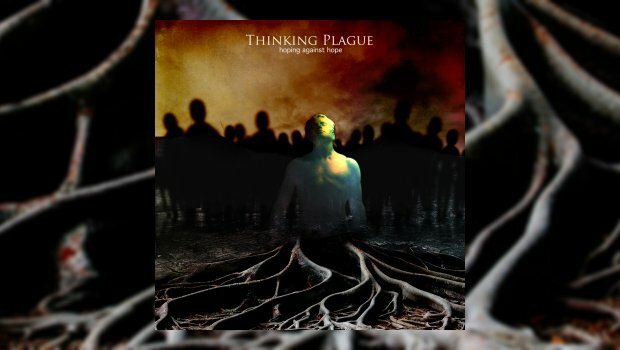 Mike concludes by saying “Perhaps we are an alternative for people who like deep, complex and adventurous music, but can’t abide the onslaught of in-your-face, hyper-aggressive, one dimensional ‘math metal’ or whatever it’s being called these days.” Too bloody right, and long may Thinking Plague plough their wilfully individual furrow for us miscreants and misfits. We’ll be back with more crowdfunding for the next one!